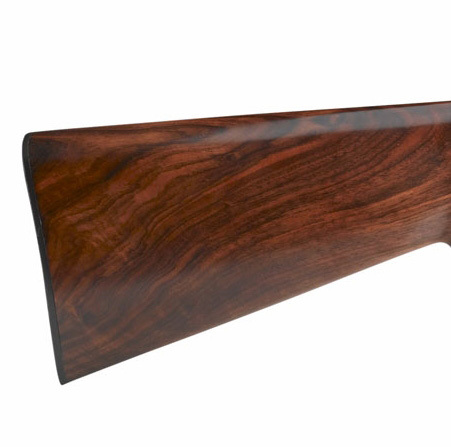 A stunning hunting shotgun, the Jaguar Gold is provided with 3” chambered vent rib barrels in choice of either 28” or 30” length. A gloss black finish combines with a hand checkered and oil finished European walnut stock to provide Sabatti’s world famous sleekness of form and function. 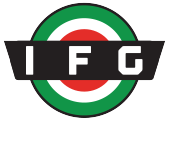 With automatic selective ejectors and single selective trigger, the Jaguar Gold incorporates the features most demanded by the serious hunter. 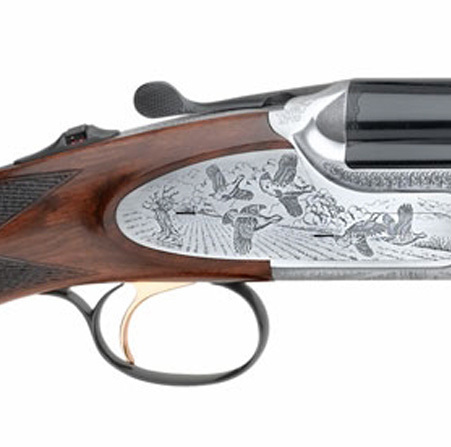 The Sabatti Artemide Lusso is a shotgun that looks every bit as good as it shoots. Featuring 3” chambers in a honed and polished bore. 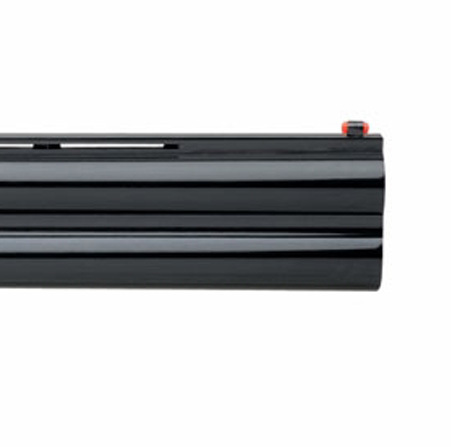 Highly detailed game scene engraved side plates are further enhanced by gloss black finish on the barrels and mono block. A luxurious oil finish is applied to the hand selected European walnut stock. And of course, the Artemide Lusso features automatic selective ejectors and a single selective trigger to make shooting a pleasure. 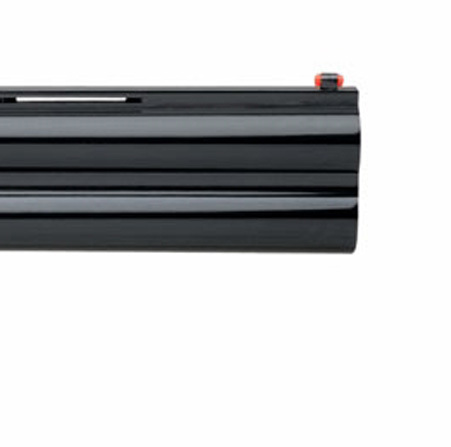 Featuring a 3” chamber, the Alpen Eagle is proofed for steel shot. 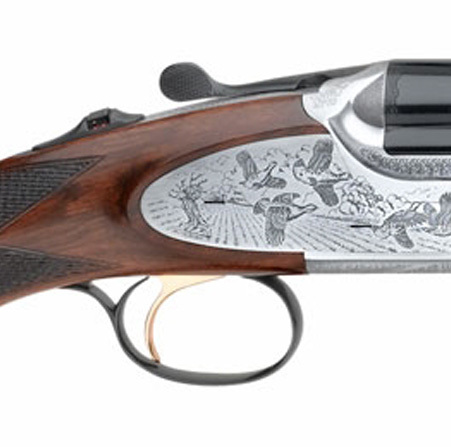 This shotgun is adorned with an engraved game scene on the receiver, while the barrels and mono block receive a high gloss black finish. 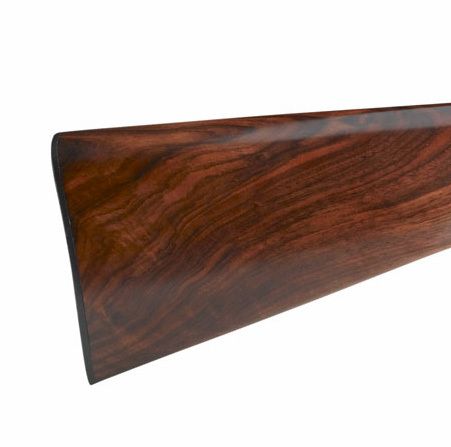 The European walnut stock is hand selected for its color, strength, and weight, to provide unrivaled balance and comfort when at the shoulder. 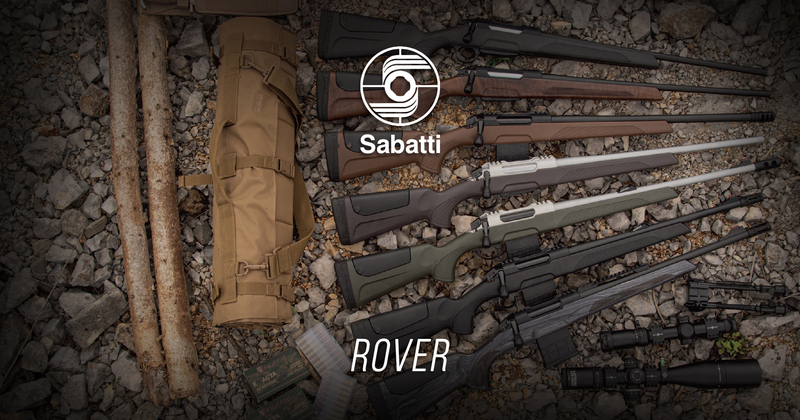 Automatic selective ejectors are included.